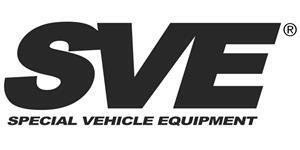 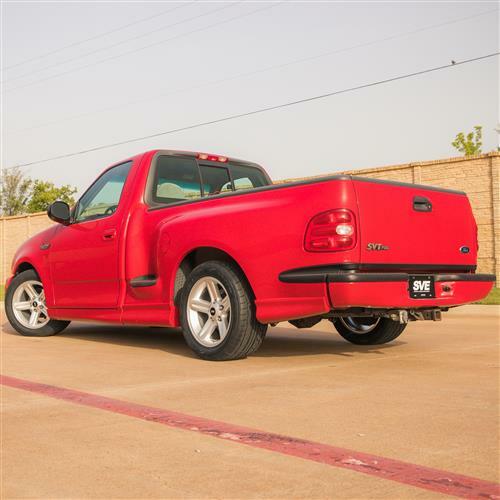 Upgrade or restore your 1999-2004 SVT Lightning with SVE's 03-04 style SVT Lightning wheels from Late Model Restoration. 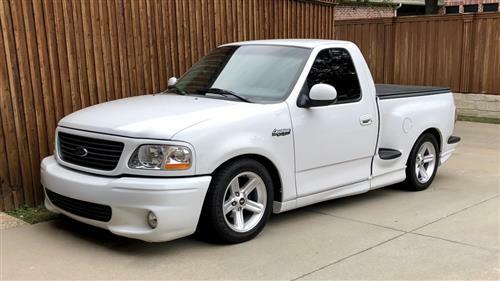 Finding a factory set of 2003-2004 SVT Lightning wheels in decent condition is a challenge in its own, not to mention the price tag that comes with it. 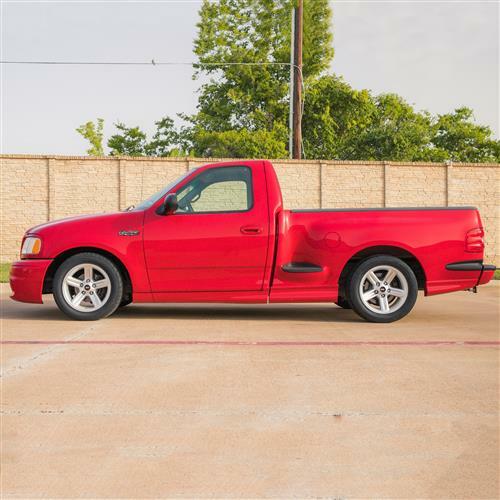 Being true Lightning enthusiasts, Late Model Restoration has provided a solution for those wanting to restore their 03-04 Lightnings or upgrade their 1999-2002 Lightnings. 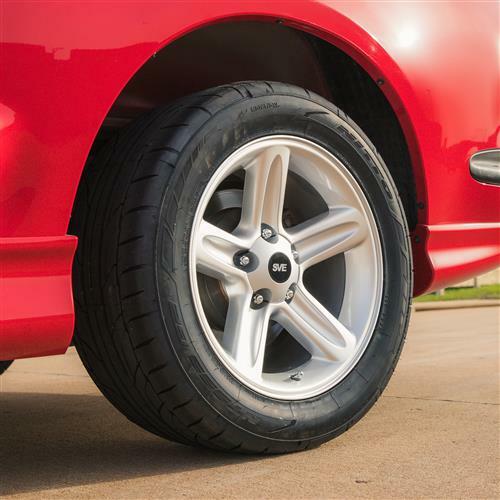 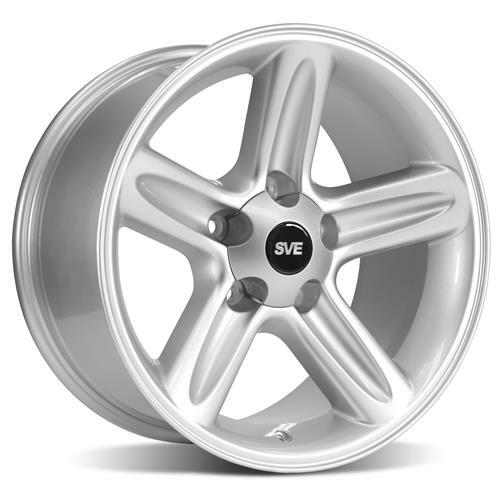 This SVE 2003-2004 SVT Lightning style wheel is a factory style replacement wheel that comes in a 1 piece cast construction with a silver painted finish. 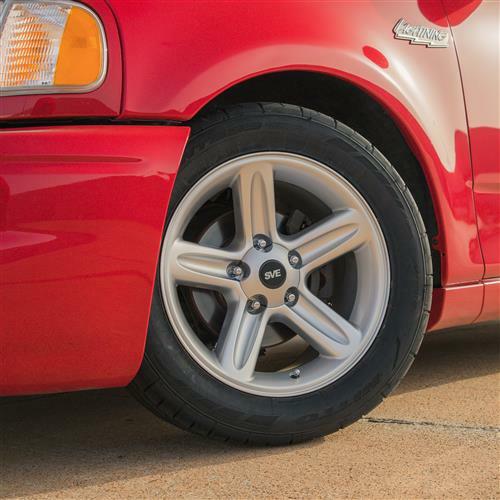 This wheel features the same 5 spoke pattern as the original wheels and boasts a factory style SVE center cap to finish off the great look. 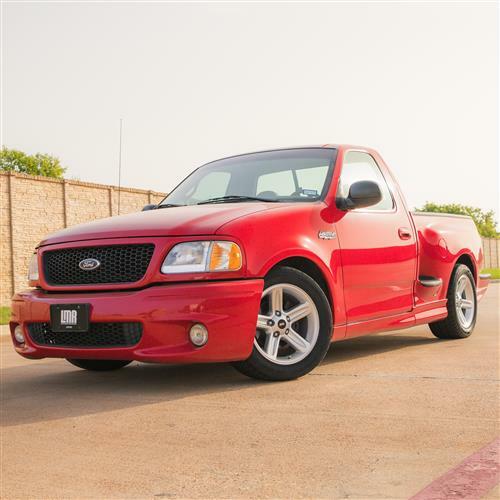 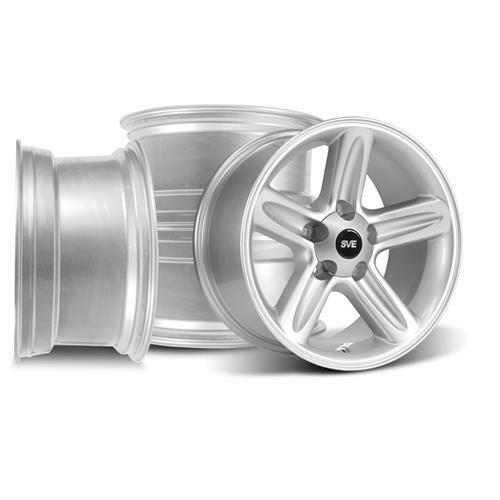 This kit features 4 18x9.5" wheels to upgrade or restore your SVT Lightning. 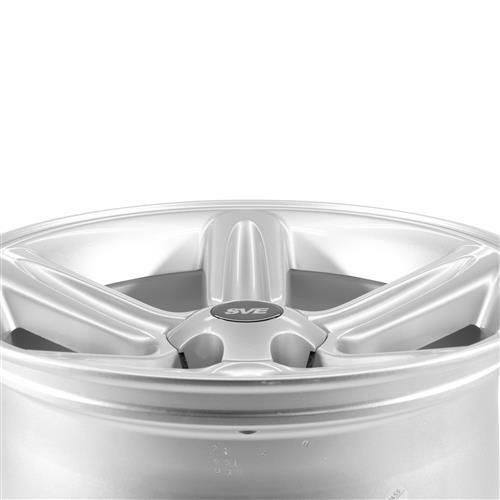 - These wheels are designed to be used with acorn style lugs nuts. 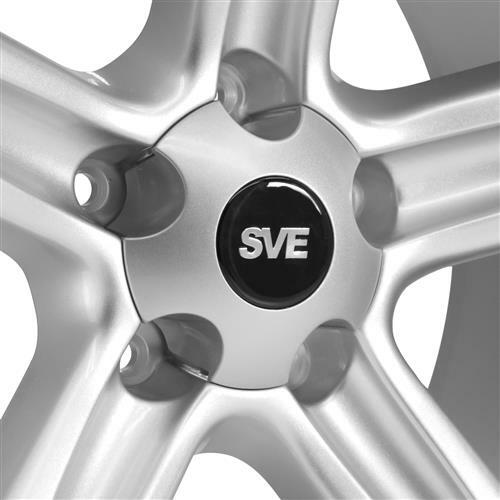 This SVE 2003-2004 SVT Lightning style wheel is a factory style replacement wheel that comes in a 1 piece cast construction and is currently available in a silver painted finish, gloss black painted finish or chrome plated finish. 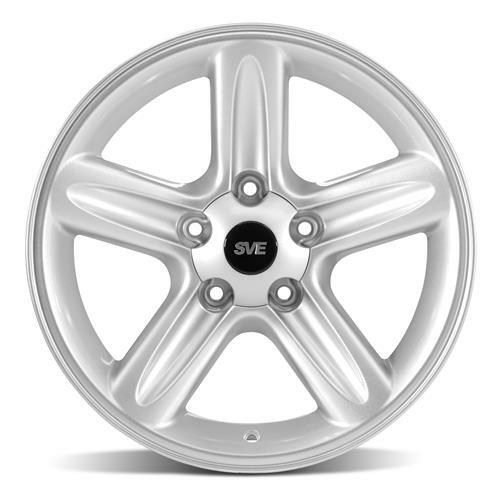 This wheel features the same 5-spoke pattern as the original wheels and boasts a factory style SVE center cap to finish off the great look.